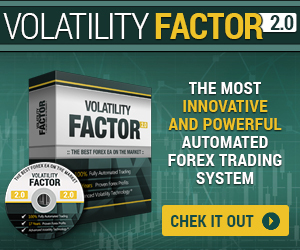 It's hard to best our past product but… Volatility Factor 2.0 PRO is the most powerful trading tool that we developed until now...and your visitors will absolutely love it. One more thing… We respect your reputation and your audience's time and trust. We are the most trusted Forex EA provider on the market and we are still supporting all of our products, even those released 7 years ago. 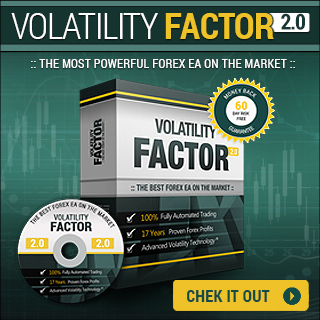 We rigorously test all of our Forex EAs and Volatility Factor 2.0 Pro has undergone the most comprehensive testing to date. Volatility Factor 2.0 PRO is our day-to-day trading tool. We're constantly updating the proof on the sales page to reflect its superior performance. We've been developing and successfully launching High Performance EAs for the last 8 years. Each of our products is well known and has helped traders boost their trading profits. We will pay you up to $347 per sale. This isn't a $20 throwaway EA where you only get a couple of dollars each sale. We've built a robust tool that is worth the money and delivers substantial commission paydays. Our sales materials are continually tested and optimized for maximum sales conversions. or 347 USD per sale. In case you do not have your own Myfxbook accounts for Volatility Factor 2.0 Pro, feel free to use our accounts in your websites. Just click in the textarea field and copy the HTML code to paste it in your wesbite.